So simple, so delicious, and so chocolate-y. 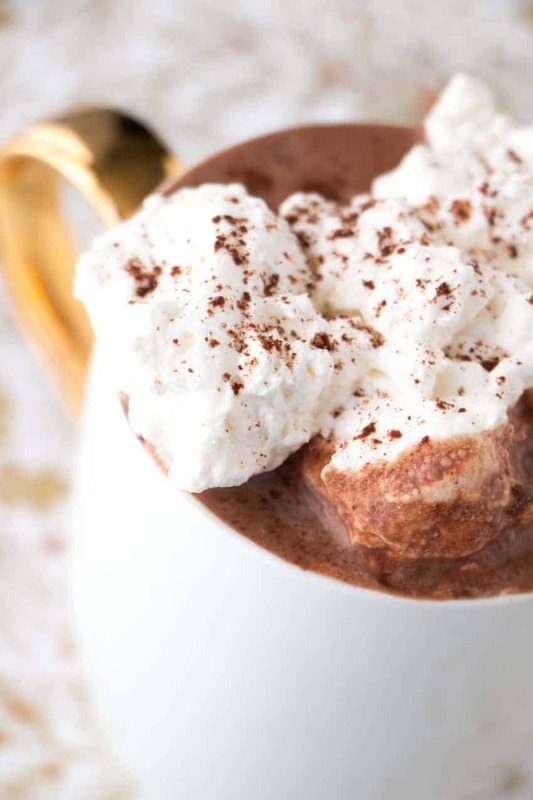 Be warned: once you've tried this Dutch hot chocolate, you'll never go back. 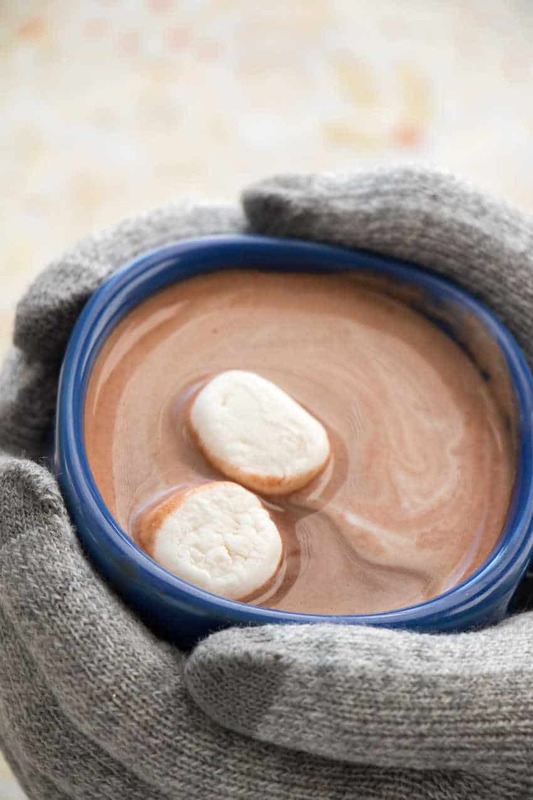 Dutch Hot Chocolate is the Cadillac of hot cocoa. You’ll want to keep this simple recipe handy all winter long. Cocoa powder is made from fermented, dried, and roasted cacao beans. The beans are cracked into cocoa nibs, which contain the cocoa solids and cocoa butter. The nibs are ground into paste and the processor removes the cocoa butter, leaving the raw cocoa behind. The raw cocoa is refined into powder, which holds the concentrated flavor of the bean. That’s natural cocoa powder, which has a pH level of roughly 5-6, giving the cocoa a slightly acidic taste with some bitter flavor notes. Raw cacao or raw cocoa is the same stuff, just not roasted. Dutch-processed cocoa, which is also called Dutched-chocolate, is made by treating the natural cocoa powder with an alkalizing agent to bring the pH to 7, which is neutral. This gives the cocoa a smoother flavor and darker color, ideal for drinking. Why is it called Dutch, you ask? The chemist who developed the process, Coenraad van Houten, was Dutch. He pretty much pioneered the world’s ability to make simple chocolate drinks and all the chocolate we eat. How does he not have a holiday?!? I prefer Droste dutch-processed cocoa, which comes highly recommended by Dutch foodies, and has been the hands-down favorite in my testing. I top mine with corn-free marshmallows or coconut whipped cream, depending on my mood. Mix the cocoa, sugar, vanilla and a splash of the milk into a smooth paste in a bowl. Pour the remaining milk into a saucepan and place over low heat until it just begins to boil. Whisk the hot milk into the chocolate mixture. Ladle the cocoa into serving cups. Top with dollops of whipped cream or marshmallows and serve immediately. 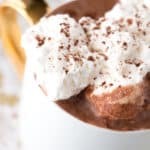 This entry was posted in Beverages, Dairy Free, Kid Zone, Recipes and tagged chocolate, dessert, G-Free Foodie, gluten free cooking, gluten free diet, gluten free holiday, gluten free holidays, kc cornwell. Bookmark the permalink.